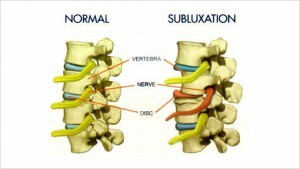 In simplest terms, a subluxation (a.k.a. Vertebral Subluxation) is when one or more of the bones of your spine (vertebrae) move out of position and create pressure on, or irritate spinal nerves. Spinal nerves are the nerves that come out between each of the bones in your spine. This pressure or irritation on the nerves then causes those nerves to malfunction and interfere with the signals traveling over those nerves. Ignoring a Subluxation results in a progressively worsening conditions as spine health deteriorates through 3 stages of decay. 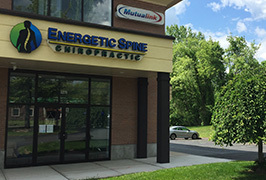 Stage 1 – Spine loses some of its natural curvature and the joints, discs, and nerves experience some stress that causes them to age at an accelerated rate. Stage 2 – Discs are thinner, the spinal cord has narrowed, and bone spurs have formed. Stage 3 – Patients experience a change in posture, nerve damage, more serious disc problems, and deformation of the bones. Final Stage – Spinal degeneration is irreversible and our main goal is keeping patients as comfortable as possible.